Planning on dressing up as a creature of the night this Halloween? Well then you’re going to need to get bloody! 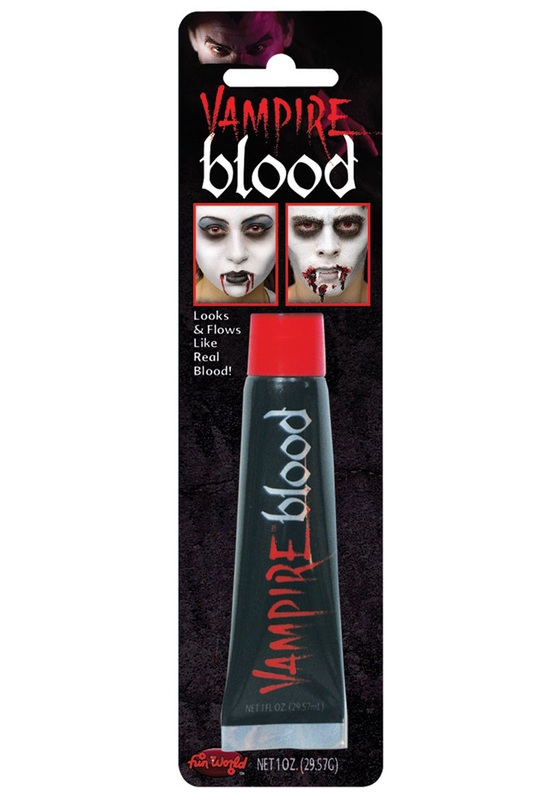 Don’t waste your time plotting out a heist at the nearest blood bank when you can just as easily grab a few tubes of this Theatrical Blood! It’s super easy to apply and it’s not real blood… that would just be downright disgusting and, not to mention, quite unsanitary. Now then, decide whether you want to be a vicious vampire, a lone werewolf, or a starving zombie. Grab this Theatrical Blood and make it appear as if you’ve just taken a juicy bite out of your last victim! You can even smear it on your hands and arms to add even more terror to your disguise. Don’t be surprised if some are weary of letting you enter their home with this realistic blood covering you. Just assure them that you’ve had your fill for the night and you just want to hit the dance floor! This really looks like blood!! !